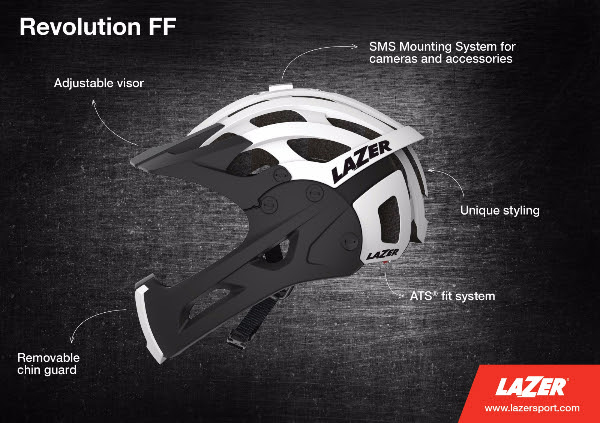 The requirements of an enduro rider are many, cross country lightness, trail focused practicality and downhill safety... that's a lot to expect from a single helmet and the newly announced Revolution from Lazer Sport aims to meet them head on... errr so to speak. 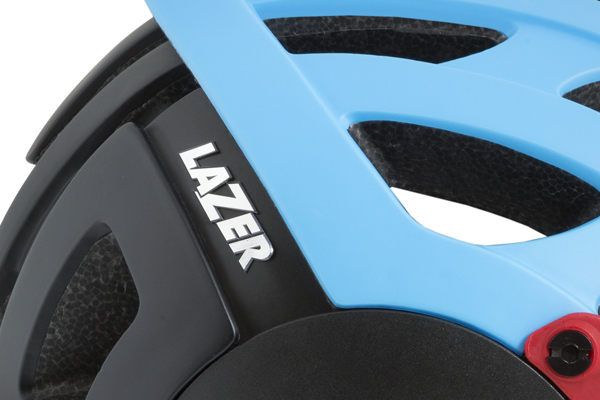 The Lazer Revolution includes everything you want in an enduro performance helmet. 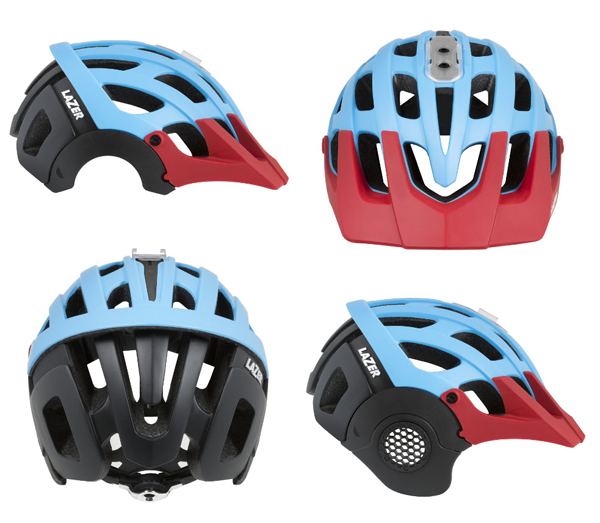 The fully adjustable visor allows for easy goggle parking on the helmet when they are not in use. The ATS retention system with adjustable rear head basket makes for a quick and easy to adjust fit. Removable and interchangeable ear pads means the rider can customize the function of Revolution depending upon their preference or the demands of the course. 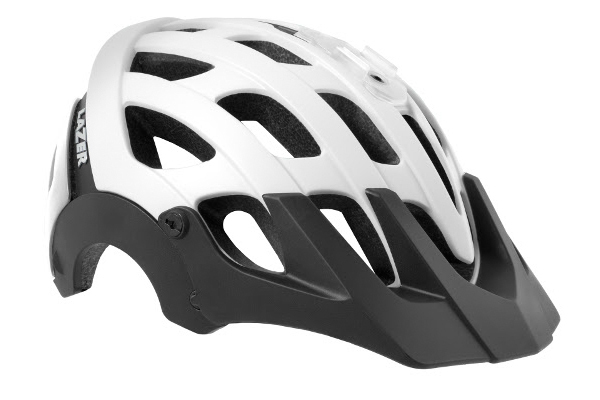 Turn Revolution into a full-face helmet at any time by attaching the optional chin guard. The SMS (Safety Mounting System) for cameras and other accessories has been fully crash tested to assure that Revolution still passes all safety certifications when these items are attached and in use. 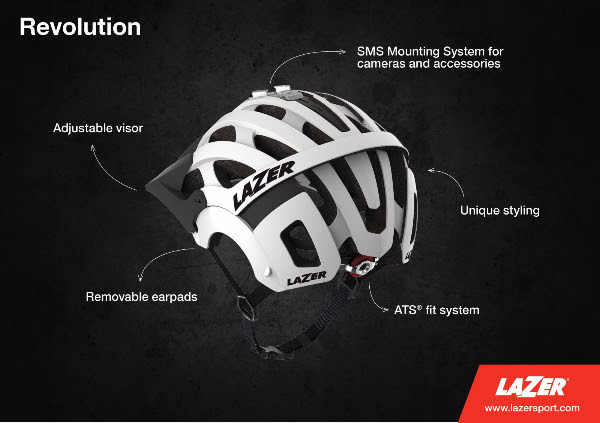 Thanks to SMS, Lazer is the only helmet brand to offer a helmet that meets safety standards with a mounted camera or accessory.